as VASH, sponsored by the State Housing Development Authority. father served in the Air Force and her husband served in the Army as an 82nd Airborne paratrooper. herself in being an Army Strong Mom with a lot of Army Strong friends! assisting the homeless and underprivileged with their housing needs. year which serve both the civilian community as well as local veterans. directly to Toys for Tots for the purchase and distribution of toys to local children. Christmas morning due to her dedication and drive to give back to her community. packages to deployed service members. She currently serves as their Vice-President. they enjoy volunteering and spending time with each other and their extended family. 7th HOOAH Michigan is a State chapter of HOOAH Inc. that was founded in 2015, after a U.S. Army Special Operations Force soldier from Michigan attempted to commit suicide. The chapter rapidly stood up to address this problem amongst our Special Operations Force (SOF) community. 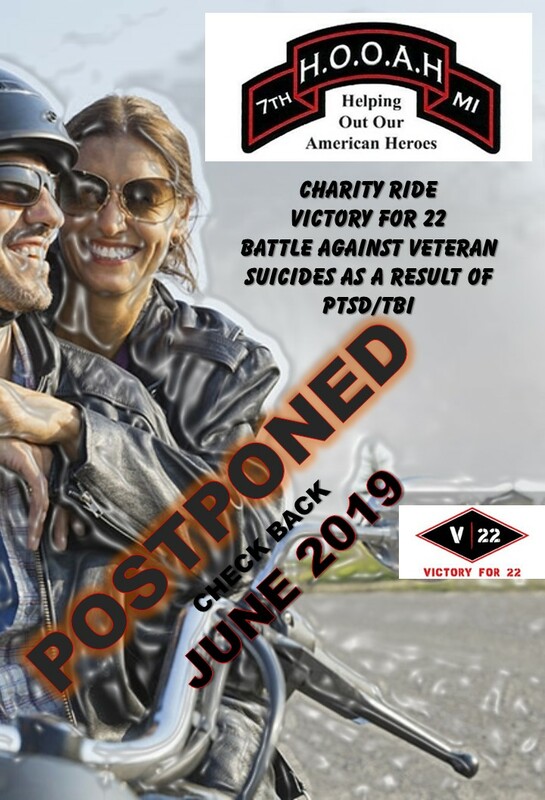 Additionally, the chapter wished to provide support and to extend the services available from within HOOAH Inc. to active duty personnel from Michigan, to veterans within our State, and to our local military families when issues or unforetold circumstances arise.